One of my favorite things to do around the holidays is to drive around and look at all the different ways that people decorate their homes. Some are simple and elegant; only the roof lines are lighted and maybe a wreath on the door, while others are more elaborate; tree trunks are wrapped, canopy’s are draped, columns or posts are wrapped with lighted garland, you name it, and it’s there. But have you ever wondered how much does holiday lighting cost? Or is it affordable? First, let take a look at what our service actually includes and what separates us from the rest. 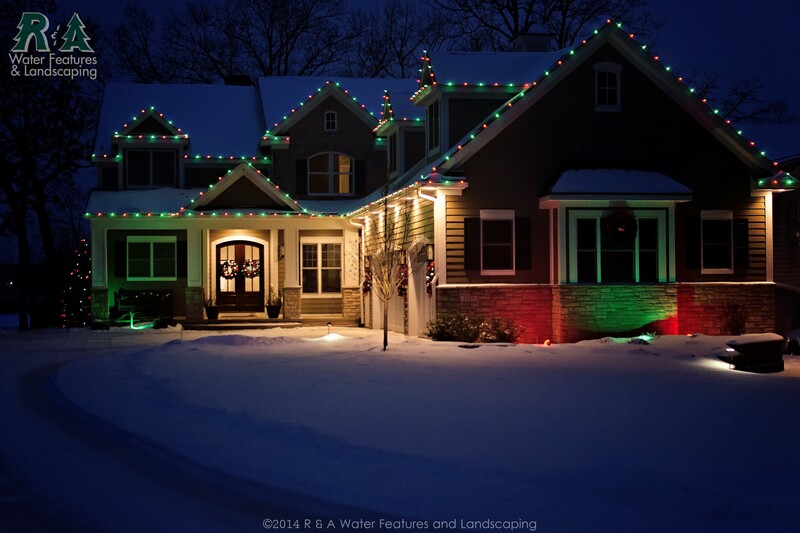 Now, the cost of holiday lighting installation will vary greatly, depending on how many eaves you have, how large a tree is, or if you want your house to glow and be visible from space. First year pricing (material and first year of installation) can come in anywhere between $800 to over $3000. The installation cost for the example above was a little over $1400, this was a renewal so that does not include the purchase of material. This example represents near the average cost for holiday decoration installation. I’m Ready For Holiday Lighting!